ONE OF THE BEST SHOWS I'VE SEEN: There's so many that come to mind, but the first one I thought of this time was Strand of Oaks back in our last home of Champaign-Urbana. Tim Showalter is one of the best "rock" songwriters doing it right now and you can tell during his performances how much he puts into every single note. Their set was pure octane and love and he really gives himself to a crowd. It was wonderful. ONE OF THE BEST SHOWS I'VE SEEN: I wanna say the best show I've ever been to was when I saw The National. They are my all time favorite so I think that's why but they also just put on such a good f--king show. They played literally every song I could ask them to play and to top it off I got to hug the lead singer as he yelled some lyrics into my ear. It's was awesome. BUT. I've seen Titus Andronicus more times than I can fully remember and they NEVER disappointed me. So maybe them. MY FAVORITE PLACE TO BUY MUSIC: I guess the last place I bought music from was Bandcamp so yeah probably Bandcamp. Or ITunes? I dunno. Bandcamp. 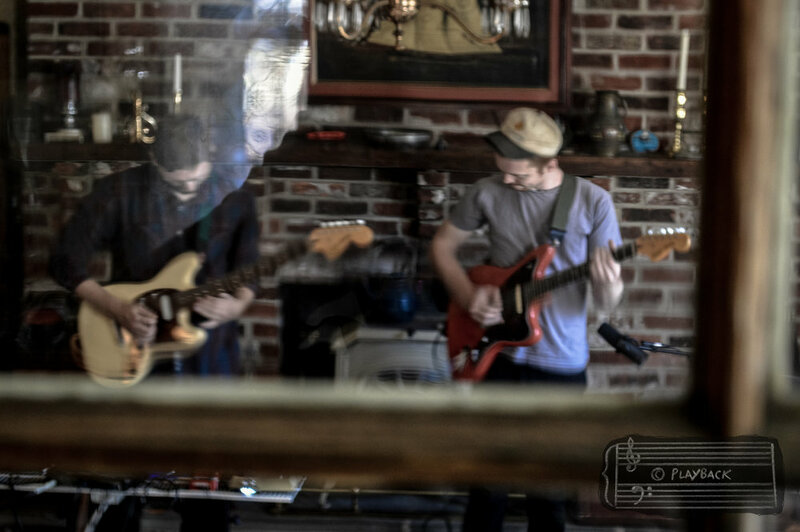 ORIGINALLY FROM NORTHERN NEW JERSEY AND BASED IN URBANA, ILLINOIS, WE HAVE GHOSTS PLAYED THEIR FIRST PHILLY SHOW LAST JULY AT THE PHARMACY ON A BILL FEATURING CALLOUT CULTURE, SANTI SLADE AND LITTLE STATE.